Khoisan-speaking hunter-gatherers were the original inhabitants of the grassland areas of present-day Botswana. With the introduction of cattle some 2000 years ago and the arrival of Bantu-speaking peoples, large scale pastoralism became important. In the mid-19th century, Batswana peoples took control of trade in the area, primarily with the southern Cape in present day South Africa, and border disputes between Tswana chiefs and Afrikaners began to define the borders between South Africa and contemporary Botswana. Britain annexed Tswana territories in 1885 as the Bechuanaland protectorate, allowing it to be administered from Mafeking, South Africa while resisting South African pressure to annex the territory. Botswana became an independent country in 1966 and has been noted as a stable democracy since then. Since independence, Botswana has seen one of the world’s fastest growing economies, dependent on mining (particularly diamonds), livestock agriculture, and tourism. Mineral industries (including gold, uranium and copper as well as diamonds) account for some 40% of government revenue. There is concern over the long term sustainability of diamond resources, and recognition of the need to diversify the economy. Tourism is sustained partly by wildlife populations, which brings a need to balance land use requirements for conservation with those for herding and mining. Similar land use pressures threaten the few remaining San people who retain their traditional hunting and gathering livelihood. Despite moderate GDP growth and political stability, Botswana has an extremely high HIV/ AIDS rate, sometimes partly attributed to high labour force mobility. Botswana faces significant water resource pressures, and key environmental problems of drought and desertification. Low and seasonally variable rainfall means surface water resources are scarce. Rainfall-supported agriculture is not possible in most of the country, which is why livestock is the primary source of rural income; and why livestock grazing is a significant cause of desertification. Most of the country is dependent on groundwater for domestic (distributed rural and municipal), industrial (including mining), agricultural and energy water supplies. Please cite this page as: Upton, Ó Dochartaigh, Key, Farr and Bellwood-Howard, 2018. Botswana is a land-locked country. It is predominantly flat, forming a gently rolling plateau with an average elevation of 1100 m. Up to 70 per cent of the country - most of the centre, west and south - is covered by the Kalahari Desert. In the north-west is the Okavango Delta. Botswana’s climate is mostly semi-arid. Rainfall is low - less than 250 mm/year over most of the country, and less than 100 mm/year in the Kalahari - and is unevenly distributed and highly variable from year to year. Drought is a recurrent phenomenon. The east and north of the country receive the highest rainfall, but very few areas receive more than 600 mm/year. Potential evaporation is around 2000 mm/year (United Nations, 1989). More information on average rainfall and temperature for each of the climate zones in Botswana can be seen at the Botswana climate page. Many rivers in Botswana are ephemeral, flowing only during wet seasons. The major perennial river systems in the north of the country are the Chobe river, which is a tributary of the Zambezi river, and flows north into Zambia; and the Okavango river, which drains into the Okavango Delta. The east of Botswana lies in the Limpopo river basin, and a number of tributaries in Botswana flow into the Limpopo river. The Notwane river in the south provides water to the capital city through the Gabarone Dam. The Molopo river forms the border with South Africa to the south. There are a number of dams in the country. Much of the country is covered with arenosols typical of arid, desert areas. Only in the east is there widespread development of other soil types. Up to 70 per cent of the country is covered by the Kalahari Desert, with grassland and savannah vegetation that is often sparse. The east of the country has more forest cover. The north-west of Botswana lies in the Okavango Delta, with extensive wetlands. 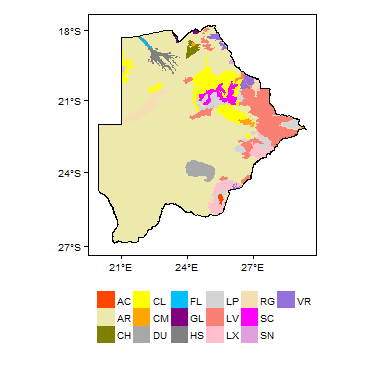 This section provides a summary of the geology of Botswana. More information is available in the Africa Groundwater Literature Archive. The geology maps below show a simplified version of the geology at a national scale (see the geology resource page for more details). Much of Botswana is covered by unconsolidated sediments of Tertiary to Quaternary age, related to the Kalahari Desert, and known as the Kalahari Formation. These overlie older consolidated rocks, and are shown on the separate map of unconsolidated geology, above. The pre-Kalahari geology of the country includes sedimentary rocks - largely sandstones - of Karoo type, sometimes capped by Karoo (Jurassic age) volcanic rocks; and large areas of Precambrian rocks. The Precambrian rocks are divided into Neoarchaean and Proterozoic sedimentary basins, which are also sometimes capped with volcanic rocks, dolomites, and basement-type crystalline rocks. Extensive tectonic activity in different eras has affected the structure of all the geological units in Botswana, with more recent uplift of ancient erosion surfaces to form the current high plateau topgraphy superimposed on ancient regional structural trends. Deep weathering also affects many of the geological units. The country is rich in mineral resources, including coal, diamonds, salt, and metals such as nickel and copper. 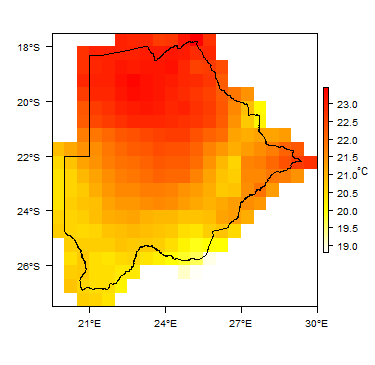 Kalahari Tertiary to Quaternary Predominantly terrestrial sediments that vary in thickness from 10 to at least 150 m (Farr et al., 1981), and over 400 m in the Okavango Basin (Jones, 2010). These include a lower Tertiary sequence of fluvial and lacustrine deposits, and an upper Quaternary sequence dominated by aeolian sands (Jones, 2010). Lithologies also include calcretised sands, calcretes, silcretes and marls (Farr et al., 1981). The upper Kalahari sands cover much of Botswana, and are generally up to 50 m thick. Karoo Supergroup - uncovered Late Carboniferous to Jurassic The Karoo Supergroup comprises a predominantly terrestrial, arenaceous sedimentary sequence, partially capped by volcanic basaltic lavas (Farr et al., 1981). The maximum thickness of the Karoo Supergroup in Botswana is unknown, but is thought to be of the order of 1000-1200 m in the axial regions of the Central basin and parts of the South-west basin (Farr et al., 1981). From oldest to youngest, the main units are the Dwyka Group; the Ecca Group; the Beaufort Group; the Mosolotsane Formation; the Ntane Sandstone; and the Stormberg Basalts. Parts of the Karoo Supergroup have been subject to deep weathering (Jones, 2010). The Dwyka Group consists largely of tillites, shales and siltstones associated with glacial and glaciofluvial deposition (Farr et al., 1981). The Ecca Group passes upwards from siltstones to, successively, coarse-grained arkosic sandstones, finer-grained sandstones, shales, coals, and argillaceous siltstones and mudstones. Basal conglomerate units also occur where middle Ecca Group strata lie directly on pre-Karoo basement. Impure limestones are sometimes (but rarely) recorded. Finer-grained sandstones passing into shaley sandstones and sandy shales and siltstones are often interbedded with the coarser units (Farr et al., 1981). The Beaufort Group has little coals or carbonaceous matter, but has conglomerates with calcareous concretions, and mudstones and siltstones with calcareous cement (Farr et al., 1981). The Mosolotsane Formation consist of a sequence of mudstones and siltstones, red shales, marls and fine-grained calcareous sandstones. The Ntane Sandstone is the most widespread unit of the Karoo Supergroup in Botswana, comprising largely aeolian sandstones, usually massive, and often loosely cemented. The sandstones are mostly fine grained, sometimes almost siltstone grade, but includes extensive coarse-grained horizons. They include non-aeolian silt beds, calcareous concretions and thin limestones and chert nodular horizons (Farr et al., 1981). The youngest unit of the Karoo Supergroup in Botswana comprises volcanic rocks of the Stormberg Basalts. Much of the older Karoo sequence is covered by these relatively flat-lying plateau basalts, formed of lava flows that vary in thickness from less than one metre to several tens of metres. The junctions of individual lava flows are often marked by fracturing. Tuffs are rare and impersistent, but occur near the base of the basalts, along with minor intercalations of Ntane Sandstone and, higher in the sequence, occasional thin intraformational sandstones, siltstones, marls and/or palaeosoils (Farr et al., 1981). Dominantly metasedimentary basins Late Precambrian - early Palaeozoic Significant basins of metasedimentary rocks of Precambrian age occur across Botswana, and include sandstones, conglomerates, limestones and quartzites (United Nations, 1989). They are locally cut through by igneous intrusions, and in some places they are capped by volcanic rocks. Transvaal Supergroup (dominantly dolomites) The Transvaal Supergroup includes dolomites, cherts, quartzites and schists, but dolomites are dominant here and are widespread across the country (United Nations, 1989). Basement Crystalline basement, comprising a range of types including granitic and metamorphic rocks such as amphibolites, quartzites and schists (United Nations, 1989). 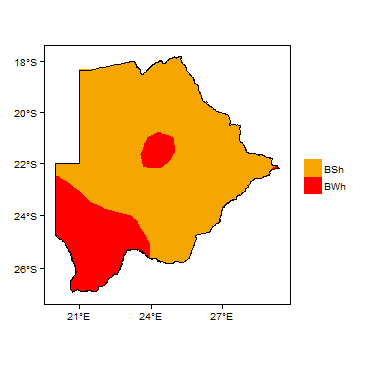 This section provides a summary of the hydrogeology of the main aquifers in Botswana. More information is available in the Africa Groundwater Literature Archive. The hydrogeology map shows a simplified version of the type and productivity of the main aquifers at a national scale (see the Hydrogeology Map resource page for more details). Botswana is also covered by the SADC hydrogeological map and atlas (2010), available through the SADC Groundwater Information Portal. Kalahari sands; alluvium and other unconsolidated deposits Tertiary - Quaternary Largely aeolian and alluvial sands and gravels. These cover large areas of Botswana. They typically form moderately to highly produtive aquifers, variously local to regional in scale. Alluvium in river valleys typically forms local aquifers, which are, however, an important water source in rural areas, as groundwater levels are shallow. Aeolian Kalahari sands can form a regional aquifer, such as in the Okavango Delta. Locally, low permeability beds (clays, silts, etc.) can reduce groundwater potential. Borehole yields in the range 2 to 10 litres/second (l/s) are seen (Jones, 2010). Recharge is by direct rainfall infiltration and, in river valleys, by indirect infiltration of river flow. Groundwater typically has low levels of mineralisation, with total dissolved solids (TDS) values of less than 100 mg/l (Jones, 2010). Karoo Supergroup The Karoo Supergroup forms a stratified aquifer which can be moderately productive. More permeable layers (dominantly sandstone) are separated by layers with low permeability. A large proportion of groundwater storage and flow, particularly in Ecca Group sandstones, is via fractures in the aquifer layers. The more loosely consolidated Mosolotsane Sandstones show more dominant intergranular flow. Semi-vertical fault zones and fractures form hydraulic connections between aquifer layers. The highest potential aquifers within the Karoo Supergroup are fractured sandstones with high transmissivity and storage capacity, particularly the Ecca and Mosolotsane Sandstone groups. Typical transmissivity values are at least 350 m²/day, with relatively low storage coefficients of 2.5 to 3.5 per cent. Typical borehole yields from the Mosolotsane Sandstone are around 2.5 litres/second (l/s) (United Nations, 1989). Other information suggests typical borehole yields from Karoo sandstones generally are in the range 2 to 10 l/s (Jones, 2010). Recharge is from direct rainfall infiltration and, in river valleys, by infiltration of river water, particularly during storm events (Jones, 2010). Available information suggests that modern groundwater (recently recharged) in the Karoo has relatively low levels of mineralisation, with TDS (total dissolved solids) values of less than 100 mg/l. Groundwater in Ecca Group sandstone is considered to receive little modern recharge and to be many thousands of years old (Jones, 2010), with higher levels of mineralisation. Dolomites Precambrian These rocks form karstic aquifers, with high potential where karstic features are well developed - where they are not well developed, yields are likely to be low. Transmissivity values of at least 250 m²/day are common, and values of more than 550 m²/day are seen occasionally, with storage coefficients of 0.1 to 6 (United Nations, 1989). Volcanic rocks These can form moderately to highly productive aquifers. Stormberg lavas typically have transmissivity values of around 25 m²/day. Typical borehole yields are around 2.5 l/s (United Nations, 1989). Metasedimentary rocks Precambrian Quartzites can have moderately high yields. Precambrian Small, low productivity local aquifers are formed in fractured zones and/or weathered basins. Yields are generally low. Recharge is largely from direct rainfall infiltration. Low storage capacity in the small weathered basin aquifers can limit recharge potential. Weathering processes can cause moderately to highly mineralised groundwaters, with evidence of TDS values of 300 to 400 mg/l in some areas (Jones, 2010). Only a small part of the estimated available groundwater resources can be economically abstracted, due to high abstraction costs, poor water quality and remoteness of productive aquifers in relation to water demand (Department of Water Affairs, Ministry of Minerals, Energy & Water Resources, 2013). However, local over-abstraction of groundwater above sustainable limits is recognised or suspected in a number of areas (Central Statistics Office 2009, UNDP 2012). Urban groundwater contamination has been identified in some towns and cities, linked to discharges of polluted waste water, including from soakaway toilets and pit latrines, to aquifers (UNDP 2012, Altchenko et al 2017). Groundwater is the main water source in Botswana. It is widely abstracted for use in rural water supply, and also used in other sectors: industry (including mining); energy (by power plants); irrigation; and urban water supply. From 2018, groundwater management falls under the Department of Water Affairs, part of the Ministry of Land Management, Water and Sanitation Services (MLMWS) (formerly the remit of the Ministry of Minerals, Energy and Water Resources / MMEWR). The MLMWS has responsibility for, among other things: monitoring groundwater exploration programmes undertaken by the private sector; maintaining an up-to-date database of all boreholes and wells in Botswana, including a register of drilled water boreholes; carrying out groundwater resource assessments; and monitoring groundwater levels and quality, including installing and operating a national monitoring network of groundwater abstraction. The Department of Water Affairs also shares responsibility for water infrastructure in rural areas, alongside District Councils. Water policy is guided by the Botswana National Water Master Plan (NWMP) developed in 1991, and reform recommendations made in subsequent reviews (Department of Water Affairs, Ministry of Minerals, Energy & Water Resources, 2013). - the Nata Karoo Sub-basin, shared with Namibia and Zimbabwe. The following provide more information on the geology and hydrogeology of Botswana. Altchenko Y, Genco A, Pierce K, Woolf R, Nijsten G J, Ansems N, Magombeyi M, Ebrahim G, Lautze J, Villholth K, Lefore N, Modisha RCO, Baqa S, McGill B and Kenabatho P. 2017. Resilience in the Limpopo basin: The potential role of the Transboundary Ramotswa aquifer, hydrogeology report. Altchenko, Y, and Vilholth, K G. 2013. 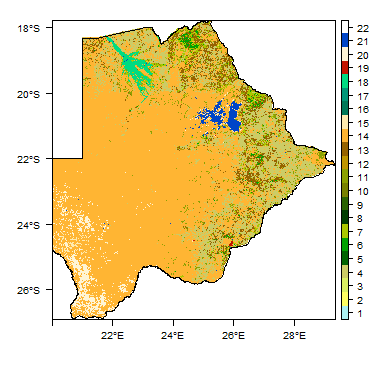 Transboundary aquifer mapping and management in Africa: a harmonised approach. Hydrogeology Journal Vol. 21, Issue 7, 1497-1517. Central Statistics Office. 2009. Botswana Water Statistics Report, Gaborone. Central Statistics Office. Department of Water Affairs, Ministry of Minerals, Energy & Water Resources. 2013. Botswana Integrated Water Resources Management & Water Efficiency Plan, Volume 1: Main Report. (L Dikobe, Ed), Gabarone, Botswana: Government of Botswana. Farr, J L, Cheney, C S, and Baron, J H. 1981. Project: Evaluation of underground water resources: Final report. Republic of Botswana, Department of Geological Survey. Jones, M J. 2010. 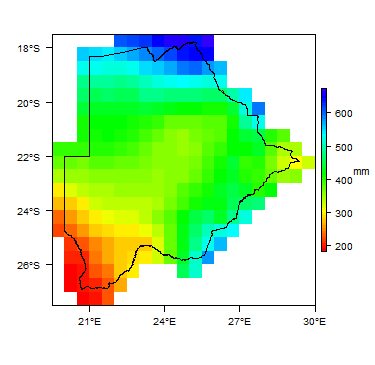 The Groundwater Hydrology of the Okavango Basin. Internal Report prepared by M J Jones (Consultant) for FAO; Okavango River Basin Transboundary Diagnostic Analysis Technical Report, Biophysical Series; EPSMO. UNDP. 2012. Water Policy Brief: Reflecting on the Challenges of Attaining a Green Economy for Botswana. This page was last modified on 13 March 2019, at 11:16.